2. 1993 – Birdsville Track – the best known Australian outback track, it was our second attempt to drive the track, the first time it was flooded, a rare but not unknown occurrence. When we eventually did drive the Birdsville track it quickly became something of an anti-climax, because we then met up with some people in Birdsville and made a much more interesting crossing of the Simpson Desert, a trip you should only make in a small convoy since there is no fuel, water or other support for 5 or 6 days. 3. 1993 – Ferrari – the only ‘get something,’ rather than ‘do something or go somewhere’ item on my list. I bought a Ferrari and owned it for 7 years. I never went very far in it but I did go very fast – I drove it on a number of racing tracks and, even faster (much faster), I was driven around one of those tracks by a real racing driver – John Bowe who twice won the Bathurst 1000. I joked that the Ferrari kept me fit, it never seemed right to drive it on short trips, so I ended up running or taking my bike much more often. 4. 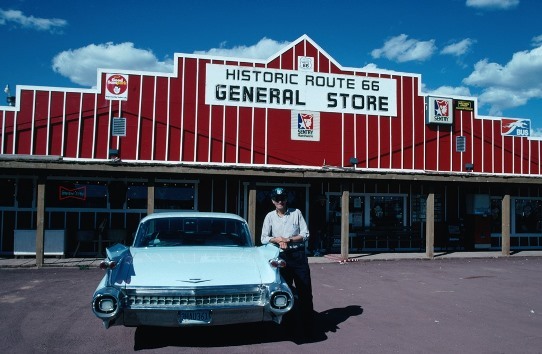 ▲ 1994 – USA coast to coast – we drove San Francisco-Boston in a baby blue 1959 Cadillac. And then back again, often following Route 66 and hitting every rock & roll highlight from Buddy Holly’s grave and the Cadillac Ranch (both in Texas) to Woodstock (in New York). 5. 1995 – Mt Blanc Circuit – the walk that goes around the Mt Blanc massif, passing through France, Italy and Switzerland. I did the walk with my son Kieran. 6. 1997 – Milford Track – probably New Zealand’s best known walk, famous for its rain and I certainly had that on my walk. 7. 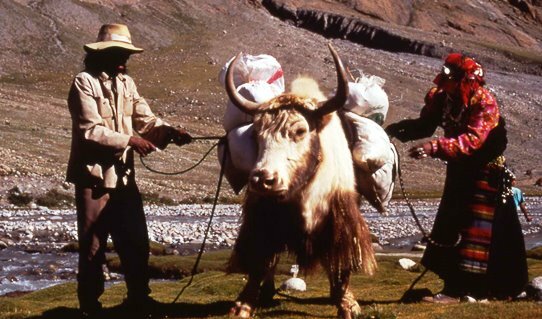 1998 – Mt Kailash Circuit – one circuit of Tibet’s famous pilgrimage mountain wipes out all the sins of your current lifetime. With a group of friends we walked for a week through western Nepal to the Tibet border and then continued on to Kailash. 8. 1998 – Lhasa –and on the same trip I visited Lhasa in Tibet. 9. 1999 – Damascus –the oldest continuously inhabited city in the world, I’d always wanted to walk the Biblical Street Named Straight and Syria as a whole was a delight. Shame about the current on-going disaster. 10. 2000 – Truk Lagoon – a diving trip to the sunken fleet of Japanese ships from WWII, mind-blowing diving, I loved it. We dived five times a day (twice in the morning, twice in the afternoon, once at night) and twice I went down past 50metres, as deep as I’ve ever dived. 11. 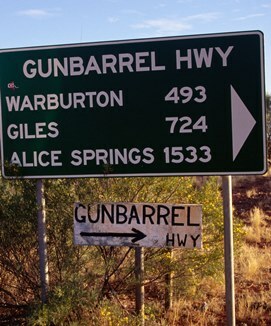 2000 – Gunbarrel Highway – another classic Australian outback 4WD trip. 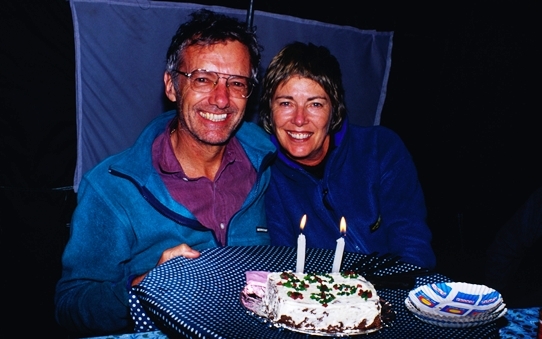 This one was with next door neighbour Don Whitford, we took his 20-year-old Toyota Hilux, drove it across the Nullarbor and then back along the Gunbarrel, meeting lots of people, seeing lots of wildlife and fantastic scenery, having a great time. 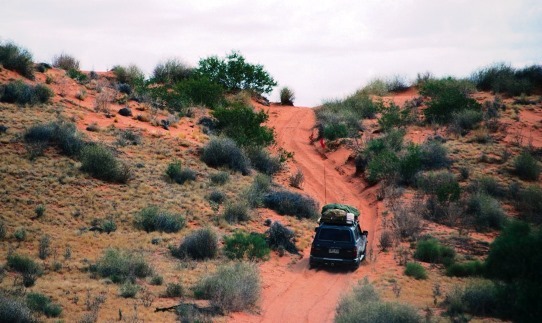 Afterwards we walked the Tanami Track out of Alice Springs. 12. 2001 – Hinchinbrook Coast – a beautiful three day walk along the coast of Hinchinbrook Island off the northern Australian coast. A boat drops you off one end and another boat picks you up the other end. I did it by myself and had a wonderful time. 13. 2001 – Annapurna Circuit – the three week walk around the Annapurna mountains in Nepal, probably the classic walk in the Himalaya and it met all the expectations. Maureen and I had our 30th wedding anniversary during the walk. So I’d put 13 ticks on my bucket list, but then somehow it took more than a decade before I added number 14. 15. 2013 – Trans-Siberian Express – and finally the last tick although technically it was the Trans-Mongolian not Trans-Siberian. Last month Maureen and I took the train from Beijing to Moscow. 1. Sail on the Aranui – the French-Polynesian cargo-passenger vessel that regularly sails from Tahiti to the Marquesas (where Paul Gauguin and Jacques Brel died). 2. Visit the Yemen – the architecture and the people have always fascinated me. 3. See polar bears – at Churchill in Canada or on the Norwegian island of Svalbard? 5. Walk the Camino Santiago – walking the ‘Way of St James’ to Santiago de Compostela has been a hit with everybody I know who has done it.